The 2016 Nordstrom Anniversary sale is here! Check out this post for my best tips and trick for how to shop the sale, and shop all my picks for the 2016 Nordstrom Anniversary sale in this post. 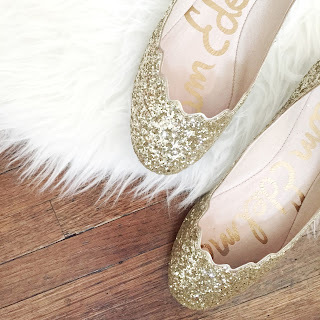 The Nordstrom Anniversary Sale is open to everyone starting today! Last year I didn't have an early access card, and it was torture waiting for the sale to open to everyone. If you haven't already looked through and created a wishlist, you can check out all of my initial favorites in this post. I've shopped this past week online and in store (so much easier to just do it online with their free shipping and free returns). 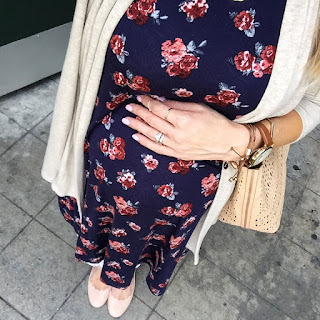 I've found some great deals on such cute Fall items, and I've featured my buys from my instagram above (just click on the photo to be linked to all the items), or you can shop them at the bottom of this post. -This long necklace has been one of my favorite purchases. I wear it with everything! 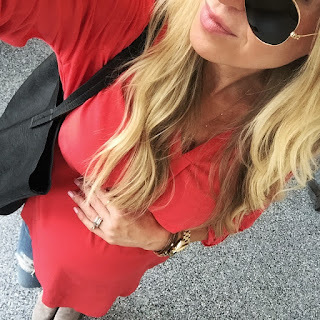 -I've spent some time lounging in these pants and they are so soft and so light weight! Great for these hot summer nights. 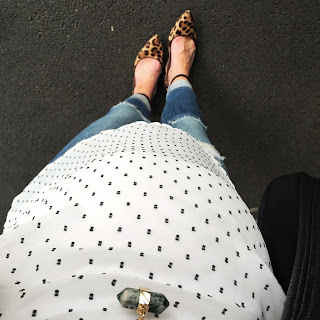 -I have to limit the heels that I wear now since this baby is getting bigger by the day, so I was so excited to find these leopard flats. The ankle strap is such a cute addition. -This top is one of my favorites. I got it in blush too. It works nice now for pregnancy, but I can't wait to half tuck it into some jeans in the Fall! -While I shy away from most heels now, you better believe these fringed babies will be coming out after the baby is here!